Convenient to connect and backup, anywhere and anytime. It’s easy to confirm recordings and you can back up what you want to keep on your Smartphone. 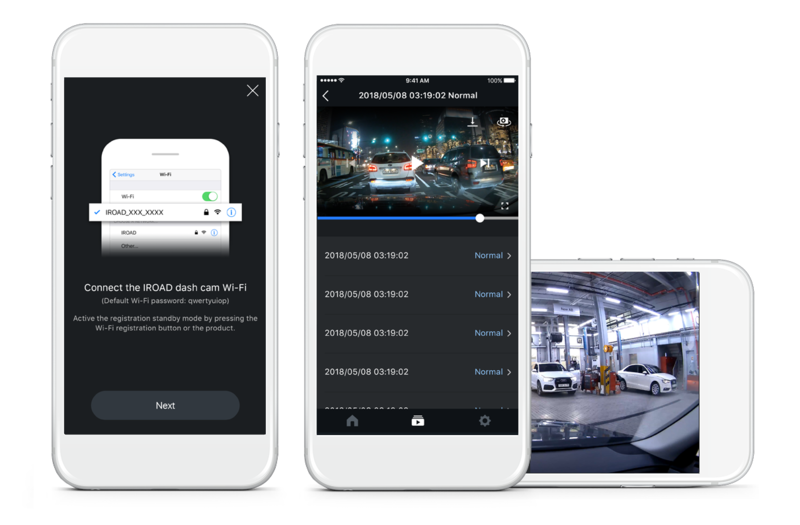 All you need is a free IROAD mobile application and a live view; backup, and the capability to upload to SNS through the application. 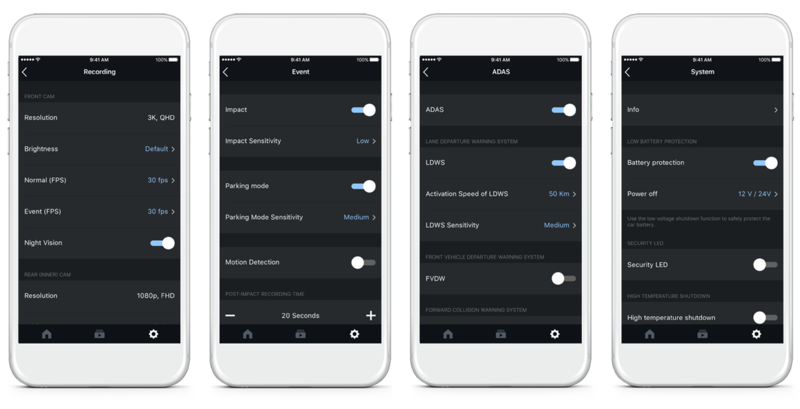 It allows you to easily manage all available settings, such as ADAS, resolution, sensor, time, sound, cut-off voltage and more functions. New firmware detected is automatically updated while you’re connected with the application. Wi-Fi is automatically connected after running IROAD application, and regular checks are performed to keep the system updated with the latest version. Users are able to watch front and rear live screens. Date, time, voltage, travelling speed and GPS info, all are shown on the bottom of the screen. Front/Rear recordings can be played using a smartphone. The recordings saved in the smartphone can be simply uploaded to Youtube, SNS and more. In the mobile application, on the ‘Settings’, users can steer the following: Resolution, frame, recording mode, sensor sensitivity, time and date, memory capacity allocation and voltage control (uninterrupted power/low voltage cut-off).